High level performers are always looking for strategies that will give them an edge in their field of endeavor. Athletes want to run a split second faster and jump an inch higher while business executives want to have sharper mental clarity and improved working efficiency. 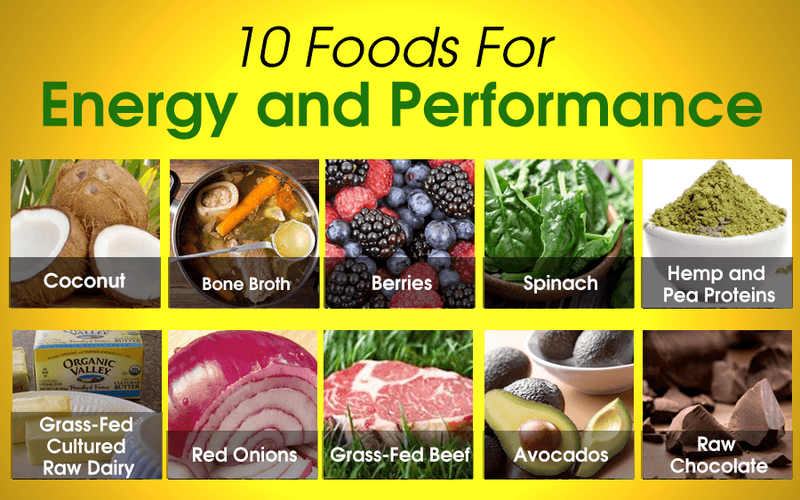 Specific meal timing and superfood strategies have been shown to optimize performance and recovery. We all want to perform at our peak no matter whether we are a teacher, stay at home mom, doctor or athlete. It is also integral that we recover fast and effectively. The goal is peak performance and quick and effective recovery so we can get up the next day and do it all over again. Performance in any field depends upon high level mental activity and often kinesthetic activity whether that be running or jumping or eye-hand coordination. 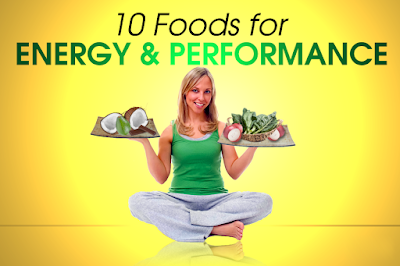 The keys for healthy function include good fats, anti-oxidants and clean protein sources. 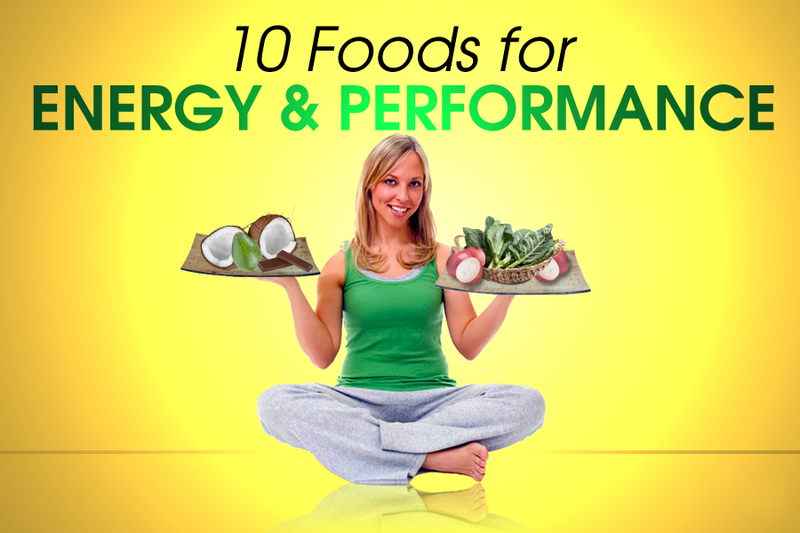 Providing lots of clean healthy foods and meal timing properly can make a huge difference in your overall energy and daily performance. Use the principles in this article to help guide you in preparing your body for great energy and daily performance in your daily life. This superfood is loaded with medium chain triglycerides (MCT’s) that break down for energy very easily. Unlike most fat sources which consist of long chain fatty acids these MCT’s do not depend upon bile and instead go right to the liver and are metabolized immediately for energy. Muscle cells are also able to store MCT’s and use them immediately for energy during exercise sessions. These nutrients are considered beauty foods because they help the body with proper structural alignment and beautiful skin and hair. They also help to prevent against injuries by strengthening joints, tendons and ligaments. Additionally, bone broth is great for the immune system. If you are unable to make your own bone broth, than you can try our Bone Broth Protein which comes with the same benefits as homemade broth, but it’s even more versatile in so many recipes. Bone Broth Protein begins as a true bone broth liquid. It’s then dehydrated, making it into a concentrated source of high-quality, tasty powder. 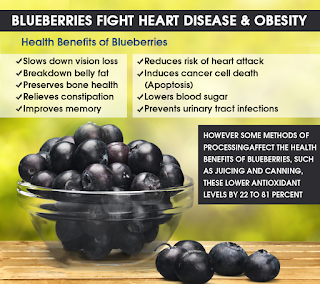 Berries are loaded with anti-oxidants and are low in sugar. Berries contain unique phytonutrients called anthocyanin’s that give them their strong pigments and allow them to handle intense sunlight. Consuming these anthocyanin’s helps our bodies adapt to stress effectively. Be sure to get your berries organic as the thin skin makes them susceptible to pesticides and they are highly contaminated with dangerous pesticides when produced on conventional farms. This superfood is loaded with blood purifying chlorophyll and the anti-oxidants lutein and zeaxanthin. 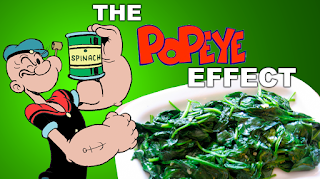 Spinach also contains its own plant based steroids called phyoecdysteroids that boost the bodies ability to adapt to stress. Phytoecdysteroids are similar to insect molting hormones and have been shown to dramatically increase glucose metabolism. This keeps blood sugar levels stable and minimizes the need for the critical fat-storage hormone insulin. Additionally, phytoecdysteroids increase human muscle tissue growth rates by 20% when applied in a culture medium. Pea & brown rice protein has also been shown to be very easy on the digestive system and the protein is fairly quickly assimilated into muscle tissue. This is important because slower digesting and assimilating proteins have a greater chance of producing gas and making one feel bloated. Most plant proteins have poor assimilation rates but pea, brown rice and hemp proteins are the rare exceptions. These are loaded with sulfur containing amino acids like methionine and cysteine which are critical for glutathione production. 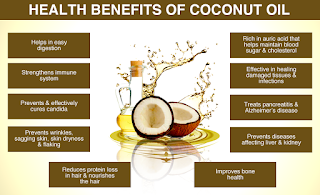 They are also a rich vegetarian source of branched chain amino acids. They contain essential fatty acids and edestin and albumin which are similar to the makeup of human blood and these help with critical functions like DNA repair. 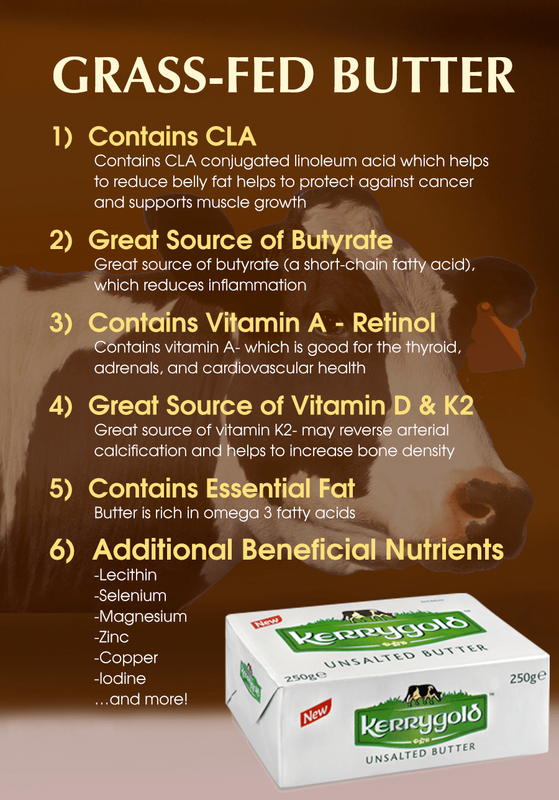 Dairy from grass-fed cows is extraordinarily rich in essential fats and critical nutrients like vitamin K2 and magnesium. The best foods from this group include grass-fed butter and ghee which are loaded with anti-inflammatory fats and anti-oxidants. These are loaded with the flavonoid anti-oxidant quercetin. They also contain sulfur containing amino acids that boost cysteine and glutathione production within the body. 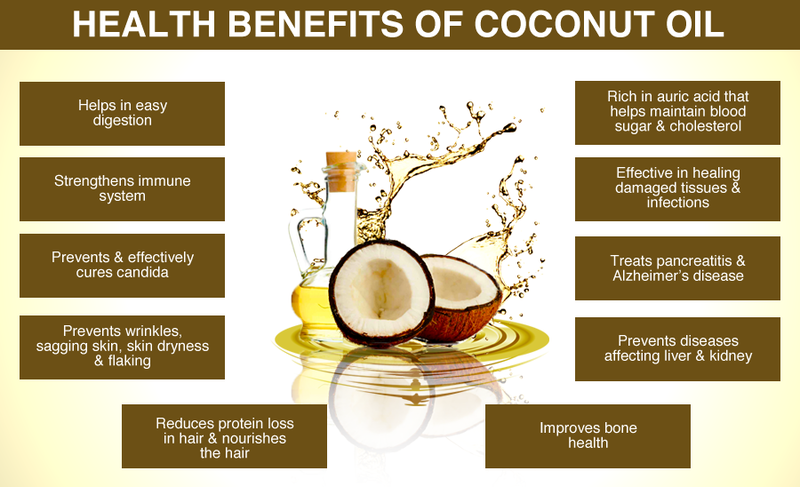 They also have chromium which helps to regulate blood sugar levels. 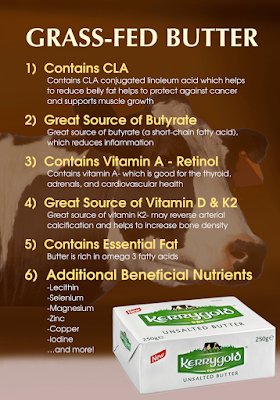 Cows that are fed a 100% green diet are loaded with anti-oxidants like carnosine and essential fatty acids. Because cows have multiple stomachs and are able to fully digest grass (humans cannot) we are getting the benefits of this fully digested super-greens in a high protein food. 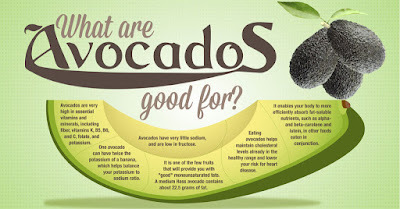 Avocados are loaded with good fats and carotenoid anti-oxidants like lutein and zeaxanthin. 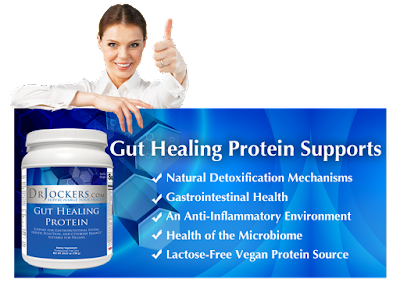 It is very easy on the digestive system and helps support optimal hormone function, muscle development and exercise recovery. This is rich in good fats and polyphenol anti-oxidants for fuel and recovery. 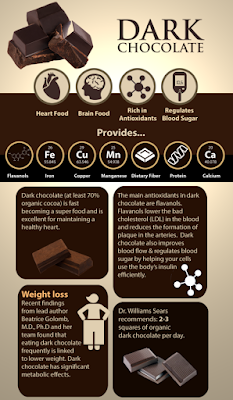 Chocolate contains theobromine which is a natural cardiovascular stimulant that helps improve circulation throughout the body. 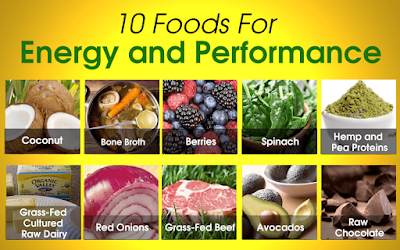 It is best to eat light before our times of performance to keep as much energy focused on the specific performance rather than on digestion. Instead of food, turn to water, as optimal hydration correlates very strongly with great performance. I try to stay super hydrated throughout the day and notice that as my water intake drops, my energy and mental acuity declines. After the performance we want to have our largest meal to replenish our system with nutrients. 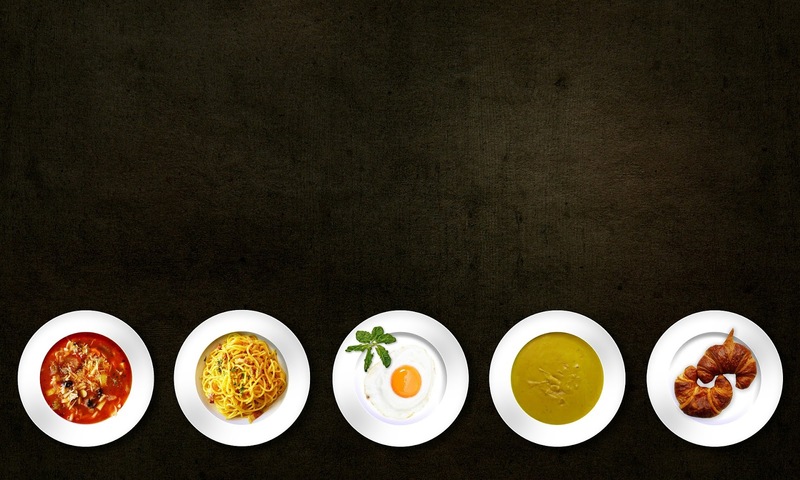 Ideally, you have your largest meal at the end of your day as opposed to the beginning of your day. This helps your body to recover from the stresses of the day. You are in a relaxed position at this point, as you no longer have to work hard and perform, so it allows you to digest and absorb the nutrients you need more effectively. This helps to take stress off of your gut lining and improves the integrity of your digestive system. When you eat in a hurry or have a large meal before a stressful event or a busy day, you compromise your digestive system and cause more inflammation in the body. These ideas and much more I teach in our Navigating the Ketogenic diet program. Opt-in here for more details and a FREE video training series I give you on advanced strategies to improve your performance. 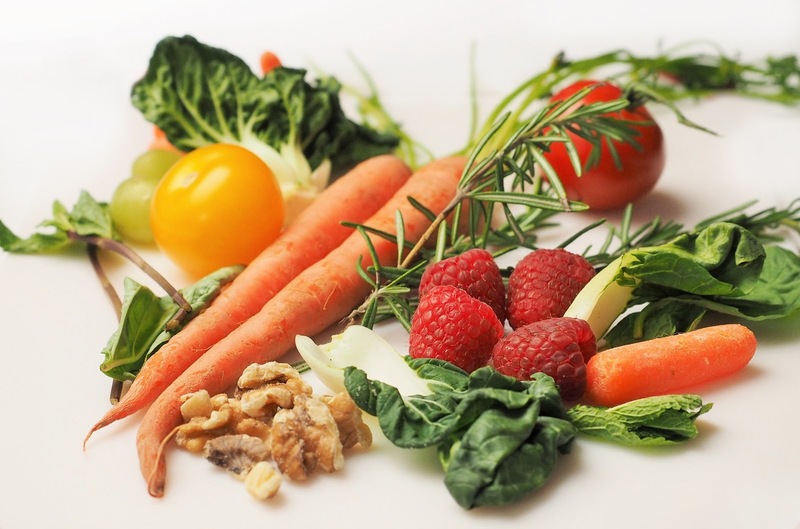 As most patients are well aware, good nutrition and a balanced diet are important components of overall health. What may surprise people with back problems is that diet, nutrition and maintaining a healthy weight also play a major role in the back - including preventing many problems and healing from injuries. The bones, muscles and other structures in the spine need good nutrition and vitamins so that they are strong enough to support the body and to perform their other functions. Using these nutritional guidelines, patients can integrate back-friendly vitamins and nutrients into their diets. Eating a balanced diet that includes the right amount and variety of vitamins and nutrients will reduce back problems by nourishing the bones, muscles, discs and other structures in the spine. Particular importance is given to calcium, which can be obtained through a variety of healthy food choices as well as nutritional supplements. While a healthy diet calls for many vitamins and nutrients, this partial list highlights a number of healthy choices that can be directly beneficial for helping back patients. 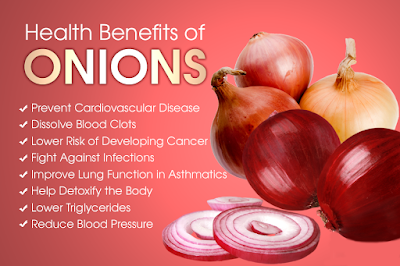 An antioxidant that assists the immune system in fighting off diseases. It is good for the back because it helps repair tissue and in the formation of bone. It also helps the body use protein effectively. Additionally, the body can convert beta-carotene into vitamin A. Beta-carotene can be found in dark green leafy vegetables and most orange vegetables and fruits. It's important not to get more then the recommended daily allowance of vitamin A, as too much can promote bone fractures. Beta-carotene does not increase the risk of fracture. Vitamin A can be found in beef, calf and chicken liver; dairy products like milk, butter, cheese and eggs; orange fruits such as apricots, nectarines and cantaloupe; orange or green vegetables such as carrots, sweet potatoes and spinach. Necessary for healthy bone marrow and for the body - and the spine - to grow and function normally. Vitamin B12 can be found in meat products, such as liver, fish, red meat and poultry; dairy products, such as milk, yogurt and cheese; and eggs. Necessary for the development of collagen, which is an important part of the process that allows cells to be able to form into tissue. This is extremely important for healing problems caused by injured tendons, ligaments and vertebral discs, as well as for keeping bones and other tissues strong. Vitamin C can be found in fruits, such as strawberries, kiwi fruit and citrus fruits (e.g. oranges, guavas, grapefruits) and tomatoes; many vegetables, such as broccoli, spinach, red and green peppers, sweet potatoes and white potatoes. Improves calcium absorption, which is important for the development of strong and healthy bones. Adequate calcium absorption is particularly important to help prevent development of osteoporosis, a disorder characterized by weak and brittle bones in the spine that can results in painful vertebral fractures. Vitamin D is naturally occurring in egg yolks and fish oils; also found in most brands of fortified milk in the US; can also be obtained by spending time in the sunlight. Needed for the bones to properly use calcium. The combination of vitamin K and calcium works to help bones throughout the body stay strong and healthy. Vitamin K is found in liver, pork, green leafy vegetables such as spinach, kale and broccoli, and dairy products. Needed for cells to remain healthy as it helps them receive oxygen and get rid of carbon dioxide. It also aids in the production of myoglobin, an important element of healthy muscles that are needed to support the spine. Iron is found in meat products such as liver, pork, fish, shellfish, red meat and poultry; lentils, beans, soy, eggs, grains, and green leafy vegetables such as spinach, kale and broccoli. Important for the relaxing and contracting of muscles. It also helps maintain muscle tone and bone density, which in turn can help prevent back problems. Further, it assists in the body's use of protein. Magnesium is found in whole grains and whole-grain breads, beans, seeds, nuts, potatoes, avocados, bananas, kiwi fruit, shrimp, and green leafy vegetables such as spinach, kale and broccoli. Essential for bone health and helps maintain the necessary level of bone mass throughout the lifespan and especially in old age. Adequate calcium intake is particularly important to help prevent development of osteoporosis, which results in weak and brittle bones in the spine that can results in painful vertebral fractures. Calcium is found in dairy products such as yogurt, cheese and especially milk; dark green leafy vegetables such as spinach, broccoli and kale; tofu, peanuts, peas, black beans and baked beans; some types of fish (salmon and sardines); a variety of other foods such as sesame seeds, blackstrap molasses, corn tortillas, almonds and brown sugar.